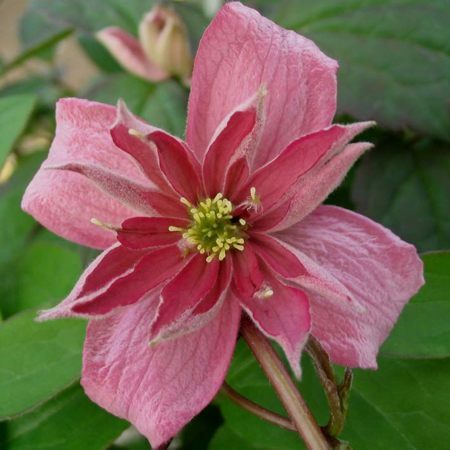 The Clematis montana Broughton Star isExtremely vigorous, good for covering large areas quickly. 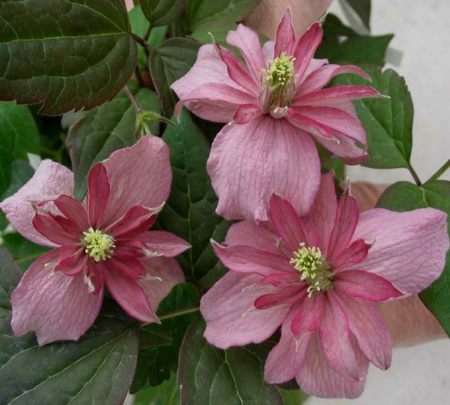 Pale pink with darker vein semi-double, sometimes fully double.Received the British Clematis Societies Certificate of Merit. 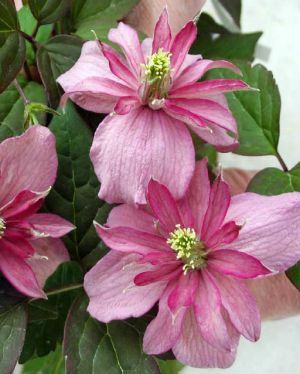 Suitable cut flower. 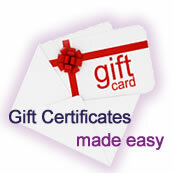 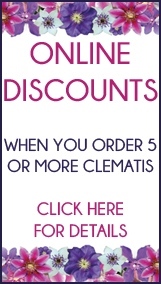 Clematis Shoppers online: 456 .